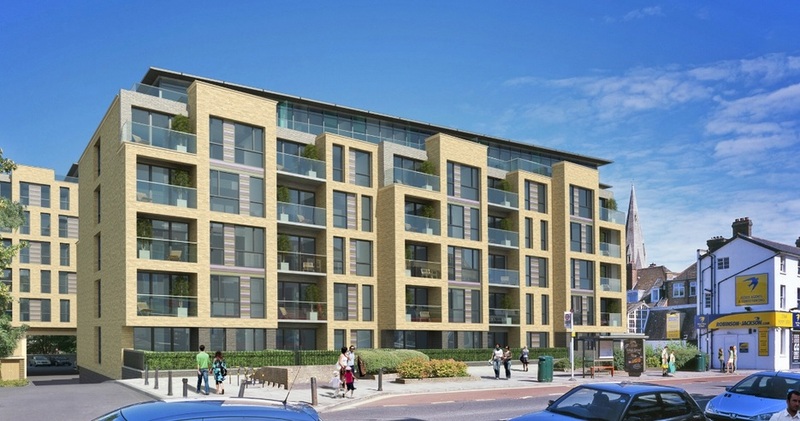 This blog normally focuses on areas nearer the Thames, but having recently seen that plans for High Street improvements were more advanced in Eltham than other towns across Greenwich borough, I looked into seeing what is planned. When doing so I found out that there are two things happening in the next week that could have quite an impact on Eltham. On a small scale there is a new Antic pub opening, and also planning permission will be decided on the Grove development. Along with that, there are many more things in the pipeline. A mix of both street changes and new developments are imminent. Greenwich council drew up a master plan in April 2012 which gives a long term view of what changes they would like to see. 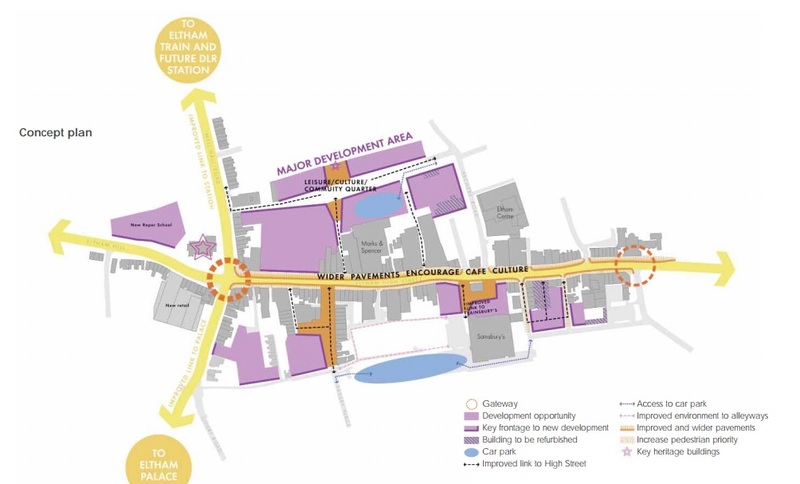 The masterplan is available here and encompasses many town centre sites. Eltham seems like a place with a lot of potential that isn’t currently fully realised. There are some great attractions that could be better known and utilised. Eltham Palace is a stunning building, with the art deco section featuring of the most impressive, and surprising, interiors of any building in London. The Tudor Barn is also well worth a visit, with a great restaurant and park area. The High Street also enjoys lots of attractive late 19th and early 20th century buildings. 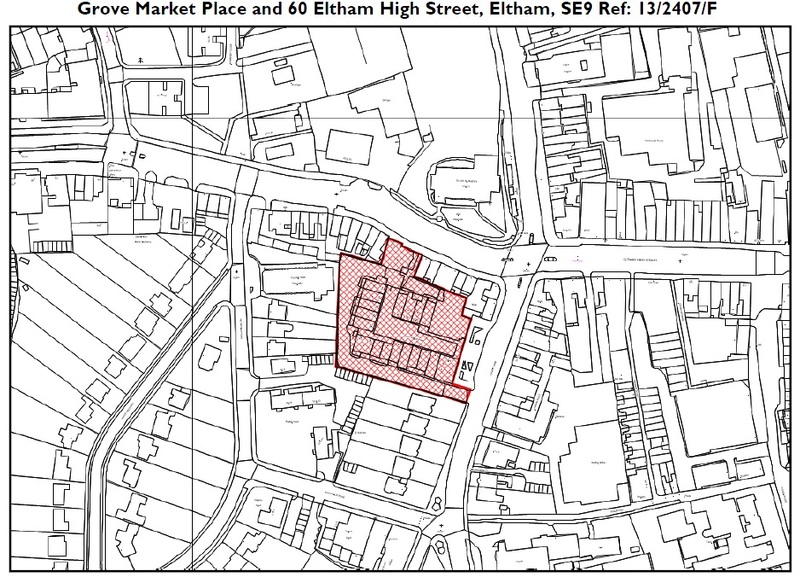 The Antic pub group are due to open a pub called the ‘Eltham GPO’ this week on 13th February at Passey Place by the High Street. The Antic group run most of the best pubs in south east London – though sadly an area without much competition on the whole. They generally raise the bar where they open and arriving in Eltham is likely to improve the pub offering greatly. Antic are also due to open up shortly in Deptford, in the old job centre by the station which they have snappily decided to call ‘the old job centre’. You can see a post about it on Deptford Dame by clicking here. Another pub is also planned soon in Woolwich facing onto the new square in the former Woolwich building society building. They tend to offer good quality food, a good range of drinks, as well as live music and various clubs. Though the High Street in Eltham has quite a few attractive buildings, including the new pub, the street looks very tired in parts. At the risk of sounding like a broken record, there’s the usual mix of poor quality and narrow paving, utilitarian lamp poles and poor lighting, excessive signage and cheap guardrails. The good news is that the council are working on a major funding bid this year from the Greater London Authority. This is for public realm improvements along the high street. This will almost certainly see the removal of much of the worst street furniture, improving the environment for pedestrians as these big projects feature extensive outside design guidance. 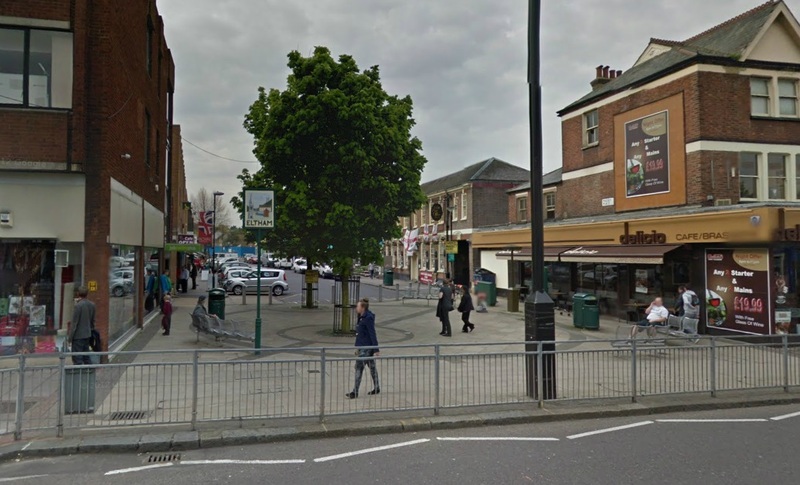 Preparatory works in 2014/15 will be allocated £406k, ready for the implementation of the main building works to improve the streetscape on Eltham High Street in 2015/16. £4.1 million is planned for that. Afterwards work begins on Passey Place and connecting paths/alleys with a key pedestrian/public realm square just off Eltham High Street. Around £1 million further will go on that. 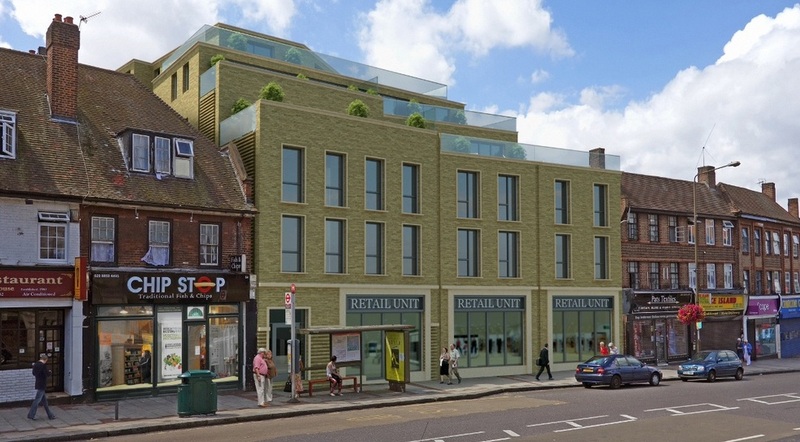 A good idea mentioned by the councils’ masterplan is demolition of a long row of single storey buildings on the high street, which is a massive waste of land, and replacement buildings with retail on the ground floor with bigger floorspace, and a number of levels of housing above. The parade is shown below. This would provide much needed housing and bring more life to high street, helping business with greater custom and ensuring it does not become a ghost town after 6pm. A building of varying heights, with sections stepped back, would not prove overbearing on what is a wide street. 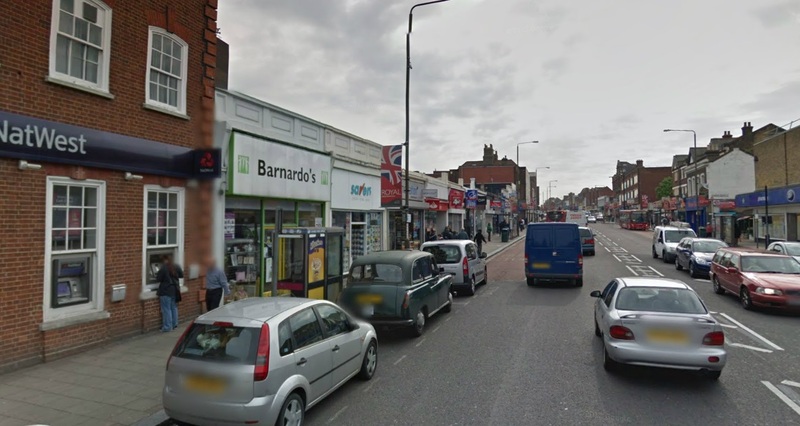 There is a mention of widening the paving with the removal of some High Street parking, though not all. The large car parks located behind the shops on the north side of the high street will be re-organised into a multi-storey effort, freeing up land for housing and more shops. It will also open up the listed Orangery building which is quite hidden and isolated at present. Emphasis will be on widening pavements on the north side of the high street to catch more of the sun and encourage outside seating. Also mentioned is moving the bus stops out into the road, which I have reservations about. This is said to avoid the need for buses to have to move back into the flow of traffic. What is never mentioned is that this then causes traffic to build up behind and often causes buses to be held up far more than before the changes occurred. On a narrow road, with stationary traffic, buses are also far less able to maneuver around obstacles. This is particularly true on roads that are heavily serviced by buses as the High Street is. I lost count of the number of ‘bus improvement’ schemes that made my bus journeys longer and seemed to be influenced by people who have never used buses. It wasn’t a looker. The colour scheme was pretty drab, with a collection of those formica like panels in various gloomy shades, and wasn’t very tasteful. 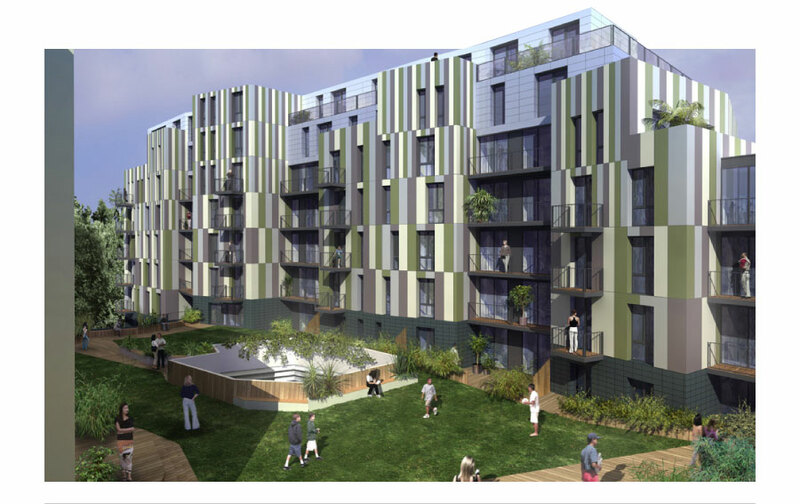 The architects stated ‘The external design concept is inspired by the London Plane tree which thrives in urban environments and improves air quality by trapping pollutants in its bark’ which is amusing if nothing else. This is a small section of pedestrianised space along the High Street. The plan here is that the pedestrianised section will be extended further along the road with possible space for market stalls. The cafe to the right could also have outside seating. This section will become a focal point along the street. When I begun reading up on the plans for street improvements in Eltham I didn’t expect to find just so many diverse developments. The masterplan sets out the broad vision, and developers are being sought to bring forward the bigger schemes while TfL and Greater London Authority funds will be used for changing the streetscape. There are quite a few more sites that I will cover in a future post. These include the railway station area, the former Coronet cinema, and the co-op site purchased by Greenwich Council in 2012 and on which they plan to build a cinema.